I have been informed today by officemates that DC mice are too "street" to go into covered traps. Coworker: Oh, those never work. Me: But they worked in Philly. Coworker: Well, DC mice won't go into them. So, it was no surprise when I came home and saw droppings but no dead mouse. Sigh. After several jittery nights at home, I've HAD it. I believe the horrid thing is living in my stove. I'm calling the landlord again tomorrow whether or not I catch it because the last thing I need is a chewed gas line. Ka-boom. Therefore, I have gone against my "Cadillac only" policy, realizing sometimes a Honda will do, and have pulled out all available forces. I'm hoping this does it. Here's one of my get ups. 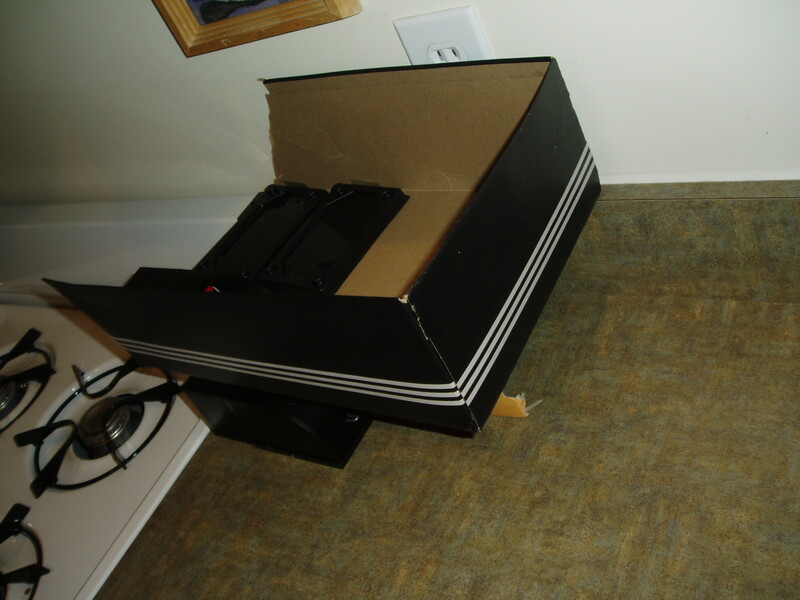 It consists of 2 shoe boxes, 2 of the Cadillac traps, and 2 glue traps. Additionally, one side of the stove is flanked with a traditional "Chevy Nova" snap trap. I have also set up 2 on one side of my sink where I found mouse poo. I hope this does it. Die Mouse Die! GET THAT MOUSE!!!! ick. mice. ick.